The Valley Leadership Community Dialogue Series will host “Phoenix in Transition” on Thursday, Nov. 17, 2011 – a conversation between the outgoing mayor of the City of Phoenix, Mayor Phil Gordon and Mayor-elect Greg Stanton (Valley Leadership alum, Class 19). As mayor of the sixth-most populated city in the U.S., Mayor Gordon oversaw significant investment in the revitalization of downtown Phoenix including development of the downtown ASU campus, redevelopment of the Phoenix Convention Center and construction of the new Sheraton hotel. He was also a staunch supporter of the controversial $1.1 million multi-modal transportation plan which includes the multi-city light rail system. As a city councilman, Stanton supported revitalization efforts including the relocation of the Translational Genomics Research Institute to Phoenix. After a vigorous campaign focused on pulling the City of Phoenix out of its current economic slump, Stanton earned a decisive victory and pledged to improve education and make the city’s economy more diverse. This dialogue provides the opportunity to learn more about Stanton’s vision for the future of the City of Phoenix and the challenges the new mayor will face as he seeks to implement his plan. Since 1978, Valley Leadership has hosted leadership development programs for adults and youth. Valley Leadership strives to provide people of diverse perspectives from both the public and private sectors with opportunities to connect, learn and lead. Valley Leadership seeks to foster dialogue, promote greater understanding of community issues and increase the capacity of individuals to engage effectively in civic action. Both Mayor-elect Greg Stanton and his wife Nicole Stanton are alumni of the Leadership Institute. For more information about Valley Leadership, call 602-952-6760 or visit http://www.valleyleadership.org. Mayor Gordon has issued the following statement responding to recent criticisms in some circles over city wages and benefits. How would you like it if you spent years working to build a city, making it the best place in the world to live, work and do business, only to watch self-serving naysayers tear it down, either to fatten their wallets or to make a grab for higher office? You would feel frustrated. I know that, because so many of you have shared your frustrations with me. You’re sick of the constant negativity. You’ve spent years making this City a better place, fighting to create jobs, grow the economy and rebuild our downtown. You’ve told me you want the truth to come out. Welcome to the City of Phoenix, where many of us have worked together for decades, and where city government strives every day not only to create a first-class city, but to conserve every last taxpayer dollar. We’ve heard you. We get it. We work for you. Every dollar we spend comes from you. We must do more with less. That’s not an empty sentence. That’s how our City does business. Yet to hear the naysayers tell it, we’re a city full of pigs at the trough. Let me give you an example of how those who seek to tear down the City use an old tactic – games with statistics – to do their dirty work. Last week, Councilman Sal DiCiccio sent an email to thousands of Phoenix residents. I know Sal well. In fact, as he’d tell you if you asked, I was instrumental in having him appointed to his seat in District 6. That’s why Sal playing fast and loose with the facts disappoints me. How does he do it? For months, we’ve this has been a unceasing refrain: That City of Phoenix employees make $100,000 a year. There’s a word for that claim: False. The average salary for every employee in the City of Phoenix, according to our Budget and Research team, is $60,104 a year. But let’s go inside the numbers. About 3 percent of our employees earn a salary over $100,000. They’re our top management, our civil engineers, our architects, our judges – in short, the folks who make sure you have clean water, that our buildings are safe and that our laws are followed. Are they well-paid? Yes. Are they paid better than they would be in the private sector? Absolutely not. After that group comes our police officers and fire fighters, first responders, men and women who run toward danger while we seek refuge. The average police officer salary in Phoenix is $70,437 annually. For a firefighter it’s $72,132. For police supervisors – our most experienced cops, our sergeants and lieutenants – it’s $86,257 a year. Can we get cheaper heroes? I imagine so, but could we rely on those younger, less experienced heroes when we’re threatened by danger? I’d rather not find out. Finally, there’s everyone else in the City, our librarians, our park rangers, our supervisors and managers. The supervisors earn an average of $68,000 per year. And the rest of the nearly 15,000 employees of our City? That group – more than 7,000 positions, or about half our total head count – earns an average salary of $43,345 a year. Is that a healthy salary? In these times, yes. But it isn’t $100,000 a year. In fact, it isn’t even close. So how did we arrive at that fantastic headline? You know the old saying – there’s lies, damn lies, and statistics. Councilman DiCiccio simply takes every single dollar that could possibly be associated with the cost of employing someone and he treats it as compensation. That’s every workman’s comp payment, every Social Security dollar, every unemployment insurance payment, every dime for Medicare, every dollar for insurance premium, every uniform allowance, every dollar spent on police safety gear, everything. Frankly, if I used math like that, I could start referring to Councilman DiCiccio as the “$100,000-a-year Councilman,” by counting not just his $61,600 annual salary from Council and his $7,477 “double dip” pension from his last Council term, but every other benefit and expense that accrues to his employment. I wouldn’t do that, of course. Because, while it might be semantically accurate – and kind of funny – it’s not what I consider to be the truth, in context. It’s like saying that the City paid more than $200 million last year for employee pensions. Is that a lot of money? Yes, but it’s also about 5 percent of the City’s $3.5 billion in total spending for the year. That ratio compares more than favorably with private sector businesses that employ 15,000 employees, many of whom receive defined benefit pensions. As for the City’s health benefits package and holiday schedule, which the Councilman calls “Cadillac” and “generous,” again they compare favorably with private sector companies of a similar size. More important, though, is the trend in the size of Phoenix government and the measures we’ve put in place to steward taxpayer dollars. Here’s the truth, not the spin of a politician seeking elected office. As you likely know, I’m termed out in January 2012, so I’m not hamstrung by the need to spin. The City of Phoenix General Fund budget for 2010-11 is $79.2 million – or 7.2 percent – lower than our budget five years ago. This despite a 6 percent population increase and the opening of dozens of new city facilities. Our General Fund budget is $185.5 million less, or 15.5 percent lower, than our peak budget in 2007-08. You can follow the logic, I’m sure. When times were flush and our population and economy were growing, City government worked to further that growth. As the economy turned sour and we looked for ways to cut back, we slashed spending and ramped up efforts to do more with less. That’s why the City has cut its budget six out of the past 7 years. We’re likely the only big city in America who can make that claim, by the way. That’s why City workers agreed to a 3.2 percent pay cut last year – an agreement set to save us $100 million over the two years. That’s why property taxes in Phoenix have dropped 40 percent. That’s why we’ve instituted an Innovation and Efficiency Task Force that, thus far, has saved our City more than $20 million. And that’s why our head count of employees has steadily dropped from a high of 16,171 in July 2008 to 14,531 employees today. Today we have the smallest city government, per capita, that Phoenix has enjoyed in 40 years (despite having a larger population by more than a million residents). We have 1,600 fewer employees than we did at our peak, jobs we’ve cut through attrition, not gimmicks. We’ve preserved our AAA-bond rating and we’ve received numerous national awards for management excellence and budget transparency. We’ve accomplished all that while keeping our neighborhoods safe – our crime rate is at a 20-year low – and keeping valuable services, like libraries and senior centers, operating at reasonable levels. Is our City perfect? No. We’ve made mistakes and we still have problems that need solving. But we’re working hard to be the best City in America, even in the midst of an unprecedented economic downturn. We’re doing it by taking care of taxpayer dollars and telling you the truth, accusations aside. Uh, guilty as charged. Kinda, sorta. The truth is, yes, we’ve ramped up a bonus program for employees who make suggestions – a program that’s been in place since the 1970s. The idea probably sounds familiar, since you may very well have a similar program where you work. Employees make suggestions meant to save the City money. If a suggestion is adopted, that employee gets a one-time bonus. Last fiscal year, we got about 175 ideas from employees. We adopted 20. That saved the City about $435,000. The bonuses? They totaled $20,600. All of them, together. A savings of $415,000 isn’t bad in return for a $20,000 investment. This month, we changed the rules to give employees more incentive to get involved. We held numerous public meetings to discuss how an employee should be rewarded for saving the city a significant amount of money. The $16,000 figure Councilman DiCiccio quotes is the absolute top bonus available, the cap. To earn it, an employee would need to save the City nearly $2 million. You’ve come to me by the hundreds over the past year-plus, expressing your frustrations over the deceit, the distortions and the accompanying silence. You’ve told me you want the truth to come out, to hear about the progress we’ve made and the reforms we’ve passed. I can’t simply stand by and allow baseless attacks to go unanswered. That’s why you’ve received this piece. I’m sure the naysayers will respond with more skewed stats and more distortions … but now you have the truth. Please forward this message to all concerned taxpayers. How about Kaley O’Kelley from Channel 3’s “Good Morning Arizona.” Isn’t she terrific? She has to be at work in a few hours, so I promised her my speech will be short … sort of. I’d also like to thank RED Development and all of tonight’s sponsors for making this event – and downtown – such a success. Speaking of success, the City of Phoenix couldn’t do it without the 14,000 employees who every day meet one challenge after another. The truth of the matter? Without our employees … Phoenix would not be a world-class city. We wouldn’t be at or near 20-year lows in our crime rate in every category. We wouldn’t have survived the down economy – much less attracted more than $2 billion dollars in construction projects citywide in the past year. That’s $2 billion with a “B”… real deals, bricks and mortar, bulldozers, architects, electricians, plumbers, jobs. In just the last year, these projects have created more than 10,000 new jobs and 4 million square feet of commercial, residential and industrial space. Without our employees and our great partners none of that would be true. Together we have created a revitalized downtown that tonight gleams like a jewel. Please, let’s give them … and while you’re at it, yourselves …. a huge round of applause. If there’s one thing we all can agree on, it’s this: In Phoenix, dreams do come true. I could go on and on, except my co-chief of staff, Marchelle Franklin, keeps threatening she’ll use her new Taser on me. Dreams do come true, though. Many of you were with me in 2004, when I vowed to tear down Patriot’s Square Park and replace it with something worthy of that name. Look around. Our dream for downtown has come true. But we’re nowhere near done. We can’t blink. One split second can make all the difference. The opportunities we miss will never come back. We have to keep pushing. We have to do more. Dreams are great, but you can’t pay your mortgage with dreams. Dreams don’t put food on the table. That’s why tonight I’m excited to announce more news brought on by our dreams. Downtown Phoenix has hit the hotel trifecta. Later this month, the downtown Wyndham will be transformed and upgraded into a Marriott Renaissance hotel. That’s win #1. Win #2 is the addition of a new Westin hotel at the corner of Central and Van Buren. And win #3? It’s happening directly above us, where RED Development and Kimpton are bringing to life the Hotel Palomar. I assure you, there isn’t a major city in America opening two new downtown hotels – and reflagging a third – in the midst of this economy. What do these 3 victories mean for us? More conventions, more visitors, more jobs and more revenue for our city and our state. That says something fundamental about the brightness of downtown’s future. Its present is exceptionally bright, too. Tonight begins four days celebrating CityScape, where the openings will happen this week and into next year. It doesn’t stop there. Some morning very soon … like next week … the breaking news will continue. I’ll stand here with Mike Ebert, RED Development’s managing partner. Together, we’ll announce a new tenant for CityScape, one meant to occupy 150,000 square feet of space and add hundreds of new jobs to downtown. Now please join me in welcoming one of the best friends Phoenix has … Mike Ebert of RED Development. I wish I could be with you tomorrow for the dedication of the new Patriot’s Square Park. Even worse, I’m missing the “world’s largest coffee break” sponsored by Starbuck’s … which, by the way (hint, hint) will look great here at CityScape. Instead, I’ll be flying to Montreal to return on Air Canada’s first-ever direct flight from Montreal to Phoenix. I love this city. Why? Because of its drive … our shared passion for making things happen. I hate to be a tease … again … but before Thanksgiving I plan to make another downtown dream come true just a few blocks from here. The big headline? Another major tenant for downtown … another 200,000 square feet of space … another thousand people downtown every day, where they’ll work, dine and shop. I love it when that happens. I love that every day in Phoenix we’re able to work with partners like the University of Arizona, visionaries who see opportunity where others see only problems. Seven years ago, a medical school and a pharmacy school downtown were dreams. Now, they’re reality. Today, 168 future doctors study right here … downtown. The first class of 24 doctors will step out into the world this May. But we haven’t stopped there. Last week, we started moving dirt on the Health Sciences Education Building which will be open in 2012. Not too many years from now, we’ll be graduating 120 doctors a year. Think of all the lives they’ll make better. Think of the lives they’ll save. But, again, we can’t stop. Especially when it comes to fighting cancer. Thanks, Dean Shapiro. That’s great news about the Arizona Cancer Center. Okay, I know there’s a contingent from Arizona State University here tonight. With the election just past … and as a graduate of both universities … I’m conscious of the need for equal time. Without the University and Dr. Michael Crow, there would be no downtown success story. They’ve met every challenge so far … and then some. That’s why I don’t mind laying down the biggest challenge yet. One I know they’ll meet. For years, whenever we’ve discussed the future of downtown … ASU’s Law School has been a part of that conversation. It’s a great fit, in the heart of the state’s legal community. It makes sense. That’s why it’s time to take the Law School beyond the idea phase. Beyond talk. It’s time to begin implementing this vision — to make it real. So tonight as Mayor, in a downtown where the state of things is strong … I’m calling upon the city’s university – ASU – to join with me, my colleagues and the business community – to begin Phase 2 of ASU’s downtown campus next week. I’m calling upon the University to move beyond the idea phase … to begin designing what Dr. Crow has described, not just as a law school, but the Arizona Center for Law and Society – a multi-sector partnership that has the potential to redefine the study of law. Does this goal sound ambitious? Of course. Will we meet this goal? Absolutely. With the bar set, let me hand the microphone to Rich Stanley, ASU’s Senior Vice President and University Planner … who I imagine is furiously rewriting his speech right now. I know this task adds to ASU’s already full plate … but I’ve seen the University and Dr. Crow rise to every challenge in their path. Just FYI, Rich, I’m hoping to see some plans on my desk in time for the State of the City speech in late March. Only kidding … a little. Patience has never been my strong point. Patience is for those who have the luxury of time … for those who have the luxury of comfort. We have neither in Phoenix. For every success we’ve had downtown and across our city…we need more. For every one of us who today feels grateful for leading a blessed life … we have 10 residents who feel anxious — whose future hangs in the balance. If I have pushed our employees, pushed our partners, pushed my colleagues … pushed you … I hope you know it was never for self-glory, but only to make the city of Phoenix what we all believe it to be. The best place to call home. The best place to raise a family. The best place to start a business. The very best city in America. Thank you … all of you, and good night. Mayor Phil Godon is calling on neighbors and businesses to weigh in on a potential dog park in downtown Phoenix. Gordon said he’s not opposed to the idea of a dog park but doesn’t necessarily support some of the proposed sites. He’s planning to create a citizens’ commitee and is asking for input from “urban core” residents and businesses owners with a stake in downtown. 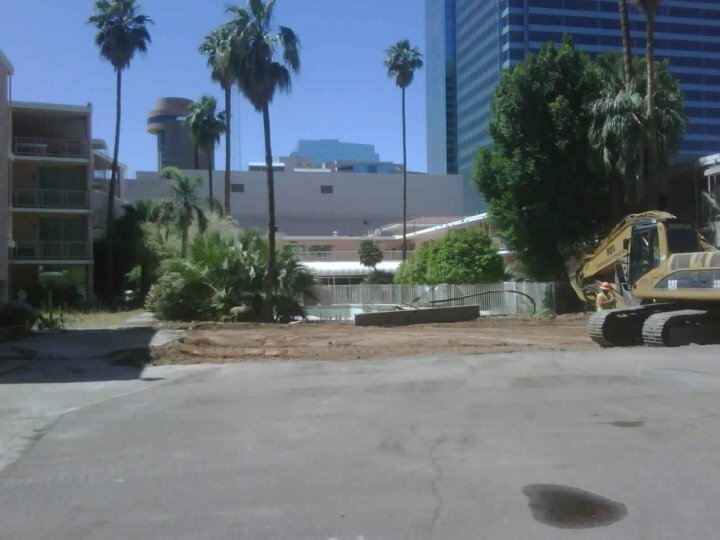 Earlier this year, the city knocked down part of the old Sheraton hotel to build a parking lot. But some residents would rather see a dog park built on that site. Because the city owns the land where the parking lot would be built, it stands to make a lot of money from it. Those interested in a possible nomination to the citizens’ commitee should submit an application at http://phoenix.gov/EMAIL/appbdcom.html. There will be a public hearing on the proposed dog park in front of the Phoenix Board of Adjustments TODAY at noon at City Council Chambers, 200 W Jefferson St.
Also, you can sign an online petition in support of the proposed dog park HERE. Mayor Phil Gordon and RED Development promised a replacement for the original Patriots Square Park in downtown Phoenix. This film shows what we as Phoenix citizens ended up getting as a “park”, a park so unlike a true park that no one who is even there knows it exists. A new set of wheels is hitting the pavement in downtown Phoenix. The Barrio Bike Shop, a business that is part of the Neighborhood Ministries campus at 19th Avenue and Van Buren Street, has launched its own beach cruiser, the Barrio Bike, to sell. Mayor Phil Gordon is one of the first people in line for a Barrio Bike. Proceeds support the ministries, a Christian charity that offers services including health care, after-school programs and job training. The charity has been largely dependent on individual donations. The ministries’ executive director, Kit Danley, said she hopes that Barrio Bike Shop and other businesses at the main campus, including a T-shirt silk screener, can enable its programs to become more self-sustaining. Barrio Bike Shop is one of two parts of the Barrio Bikes program that work in tandem. The shop sells used and refurbished bicycles for children and adults, while the other arm, Barrio Works, teaches repair and refurbishing skills to children, teens and adults. Chris Williams, the Barrio Bikes coordinator who leads the bike-repair classes, said he is working with a New York bicycle manufacturer, Worksman Cycles, to get the Barrio beach cruiser business off the ground. He has a particular group of customers that he’d like to reach this fall. “It’d kind of be a beach-cruiser bike for the downtown college kids,” Williams, 29, said. The beach cruiser is a heavy-duty bicycle that is recognized for its fat balloon tires and thick frame. Williams wants to find a retail space near the downtown Phoenix campuses of Arizona State University and the University of Arizona medical school to sell Barrio Bikes, but he acknowledges resources for the charity-hosted bike shop are limited. Orders can be placed with Williams at 602-889-1378 or chris.williams@nmaz.net. PHOENIX, AZ, May 13, 2010 — Phoenix woke up yesterday with one less piece of its history. The Ramada Inn, formerly the Sahara Motor Hotel, at 1st Street and Polk, is now under the bulldozer. We, Downtown Voices Coalition, believe our actions to save the building instead sped up its destruction. At a Friday afternoon meeting last week with Mayor Phil Gordon and city staff, the Sahara/Ramada Subcommittee of Downtown Voices Coalition asked for a moratorium on the demolition, to give time for a feasibility study and look at a potential adaptive reuse by a boutique hotel company waiting in the wings. This is the same moratorium that would be asked of any private developer. We were told there that the “train had left the station” on this project. The Sheraton Hotel, a city-financed and designed project, needed more parking. WHY WASN’T THE HOTEL BUILT WITH THE PROPER PARKING IN MIND TO BEGIN WITH? The ASU Downtown campus design includes a Law School, with ground-breaking “anticipated” in two years and designs already on the board. WHY IS THE ONLY LAND IN DOWNTOWN PHOENIX NEEDED TO BUILD ALWAYS UNDER AN EXISTING AND INTERESTING BUILDING? AND WHY TALK ABOUT ALL THE DESIGN COSTS ALREADY SPENT WHEN THERE HASN’T YET BEEN MONEY RAISED OR A REQUEST FOR PROPOSAL? The Law College is going to be a great thing for downtown. ALL CITIES THAT SUCCEED UNDERSTAND A CITY IS AN URBAN PLACE, NOT A TALL SUBURB. THE SAHARA/RAMADA WOULD HAVE BEEN OUR PALM SPRINGS/SCOTTSDALE VALLEY HO LINK AND WE JUST PUT IT IN A DUMPSTER. WITH LAW FIRMS STOPPING THEIR OUTREACH AND LAYING OFF LAWYERS, IS A NEW LAW SCHOOL A WISE INVESTMENT? WITH OUR STATE IN THE WORST FINANCIAL SHAPE IN DECADES, IS IT TIME TO BUILD NEW BUILDINGS WHEN EXISTING STRUCTURES EXIST? ULTIMATELY, COULDN’T WE HAVE HAD BOTH A LAW COLLEGE AND A VINTAGE HOTEL? The ASU Downtown is spread through the downtown. ASU DOWNTOWN IS A MOATED, GATED COMMUNITY, INSULAR AND SEPARATE FROM THE DOWNTOWN. ALL THE PROMISES OF SPREADING OUT THE CAMPUS THROUGH THE DOWNTOWN SEEM CONVENIENTLY FORGOTTEN. TAKING AWAY A POTENTIAL LINKAGE TO THE REST OF THE CITY BY CREATING ANOTHER PARKING LOT IS A FOOL’S MOVE. Instead of working to save this building, work with the city to save other threatened buildings. BETWEEN SPECULATORS, ASU DOWNTOWN, AND THE CITY’S OWN DISINGENUOUS APPROACH TO HISTORIC PRESERVATION, THERE IS SO LITTLE LEFT TO SAVE. There was no way the city could denigrate the actual building, other than saying it was a liability issue. After all, this was a poured concrete building, built in 1955 by Del Webb Construction, the same company whose name adorns the ASU Del E. Webb School of Construction. It was positioned for a true urban mid-century modern hotel like the highly successful Valley Ho in Scottsdale. For all the “lip service” to historic preservation, why has so much attempted and successful demolition of historic and vintage architecture occurred under the current City administration? Granted there have been preservation success stories and Downtown Voices Coalition has joined in praising those successes, but unfortunately this example demonstrates our City’s “one step forward, two steps back” nature. Downtown Voices Coalition mourns another potential “win/win” for its citizens, ASU Downtown, and the City of Phoenix. The City administration and Mayor Gordon have made Phoenix a poorer place by their choices. [Source: Scott Wong, Arizona Republic] — Debra Stark, who has served as Phoenix’s planning director for the past five years, will be Mayor Phil Gordon’s next chief of staff, he confirmed Friday. Stark replaces Toni Maccarone who after a year and a half is returning to her former role as director of the Public Information Office. Gordon said he had tried to bring Stark on board as early as two years ago. She has had significant interaction with the public, as well as experience with zoning, economic development, and public-safety permitting, he said. “I thought Debra Stark would make a great chief of staff and a great addition to the Mayor’s Office,” Gordon said. Stark’s appointment comes at a time when the Planning Department is being consolidated with Development Services because of budget cuts. 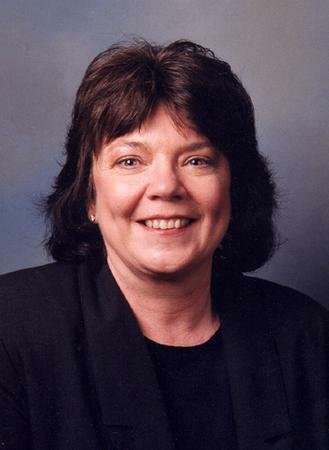 Before coming to Phoenix, Stark had served as a planning manager and community development director in Peoria. She also was the planning manager for Maricopa County, and started her career as a Phoenix planner.